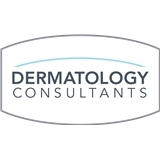 Dermatology Consultants, P.C. (Atlanta) - Book Appointment Online! For more than 75 years, Dermatology Consultants, P.C. has been advancing the practice of dermatology in the metro Atlanta area. Our full-service practice encompasses the full array of medical, surgical and cosmetic dermatology services, including advanced laser technology and the latest skin peels and cosmetic injectibles and fillers. Led by seven board-certified dermatologists, our experienced team is dedicated to serving Atlanta area patients and their families, and patients from throughout the United States who seek specialized care. We are also an active leader in the Atlanta community, participating in volunteer and charitable events, including health fairs and clinics. Lisa always does a thorough inspection! Dr Pare is so kind and professional. She took extra time out of her day to talk to my father and I about my procedure. She always goes above and beyond. She really cares about her patient's long term health and well being. Always confident when I visit with Chason that I will get great care and all the info I need.